Footprint Academy 2017 has Begun! 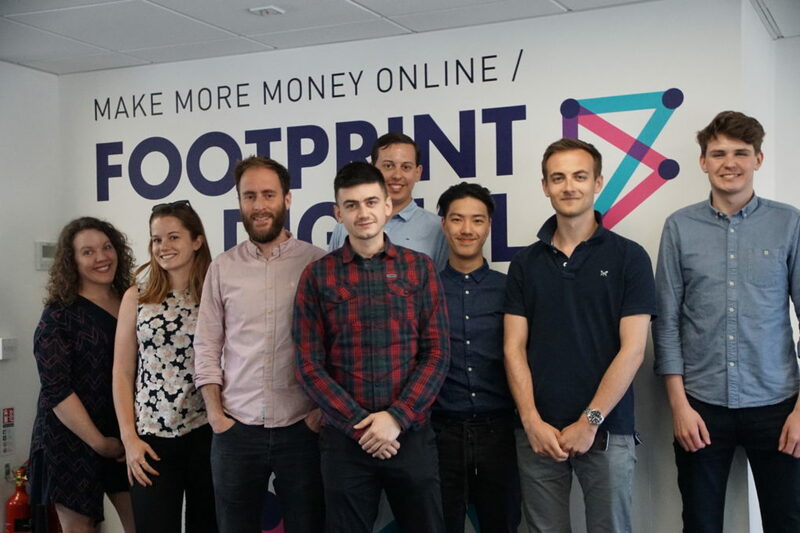 We’re extremely excited to say that last week our 2017 Footprint Academy began! The two Toms kicked things off, with two days training on the online marketing mix and building brands online. We all know that too much theory can get a bit boring, so, on Wednesday, we were lucky enough to have one of our clients, Turvec, come along to act as a live case study so that the interns could see for themselves the processes that we go through with a new client, including our business questions, and the beginnings of relationship building. Thanks very much to Turvec for their help and for making things much more interesting for our interns! This week the course has focused on building a digital strategy for businesses. The first session was led by Relationship Managers Hannah & Caroline, who have had extensive input in both the development and implementation of our Strategy Sessions. They gave our interns an insight into our processes, reporting frameworks and strategic theories, as well as getting them to brush up on their ROI and CPA formulas. 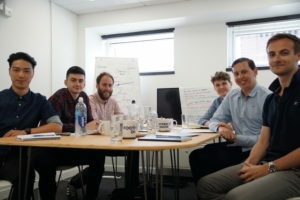 The session aimed to help the interns understand how to set goals and objectives for potential clients and come up with a unique digital plan tailored to a specific client. After the theory, the interns were encouraged to get into groups and start strategising for themselves, using Turvec as an example and putting together a digital strategy for them based on all that they had learnt the previous week. Today, Tom J is back in the hot seat, delivering a session based upon analysing and understanding what a website needs. This is something that we do before coming up with a strategy for a client. Our digital marketing audits are extremely important because they determine whether a client needs our services in the first place (we only work with clients we know will glean value from us) and also highlight potential problems and issues which helps point us in the right direction when we strategise. We’re extremely happy with how the Academy has begun, and looking ahead, we have some great sessions to run for this year’s cohort! These include an introduction to Google Analytics; two days of Conversion Rate Optimisation training; PPC training that will be both theoretical and practical, with students writing their own online paid adverts; as well as some insights into social media marketing. We are also excited to announce that clients will be invited to join us for some of the sessions including Google Analytics, SEO, PPC and CRO. Education that empowers people to Make More Money Online. Get to grips with Google Analytics. This course is perfect for those looking to harness the power of this tool to develop their online marketing skills and better measure and understand the true performance of their website. Learn how to convert more of your website visitors into business. This course covers everything you need to know to make more conversions through your website without having to invest more into marketing. Start succeeding in SEO with our intensive 2 day course. Whether you are a total novice or already have an intermediate knowledge of SEO, we will ensure that you leave us with a solid understanding of what search engines want and practical methods to help your business flourish in search results. Learn how to write paid adverts that reap rewards for your business. Packed full of great strategic and tactical advice, this intensive practical & theoretical 2 day workshop demonstrates how to ensure that your business makes more money online through Pay Per Click (primarily focused on Google Adwords). Perfect for those that have an existing Adwords account that they want to improve or for those that are entirely new to the discipline. Contact us now to learn more about our digital marketing training courses. Graduation Day isn’t until the 6th September – so, we’ll be sure to update you along the way!